Energy-saving ceiling fan Raja with LED light 122cm / 48" Ceiling fans for domestic and professional environments Ceiling fans with lights 120 - 139 cm / 47" - 55"
Simply jaw-dropping: Up to 225 revolutions per minute, 14,950m³/h airflow and a maximum consumption of just about 27 Watt (without light). 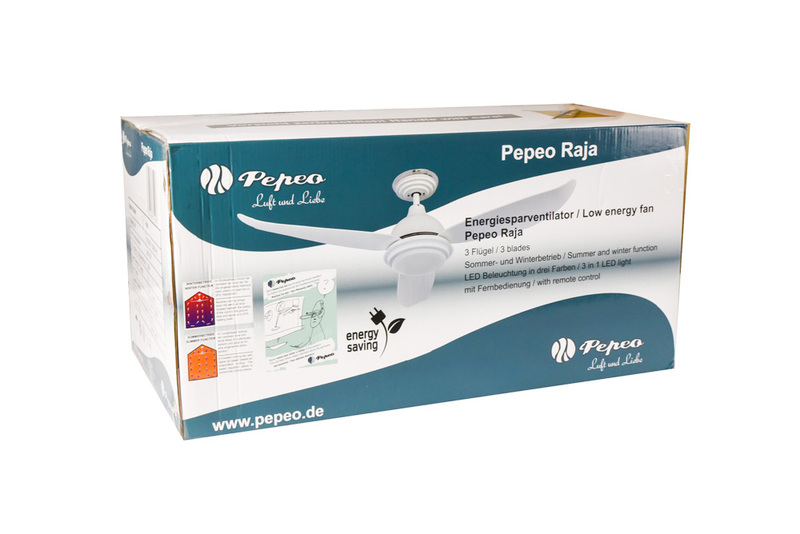 Among all other energy-saving models the Pepeo Raja ceiling fan stands out with a record performance and usual, unique features. 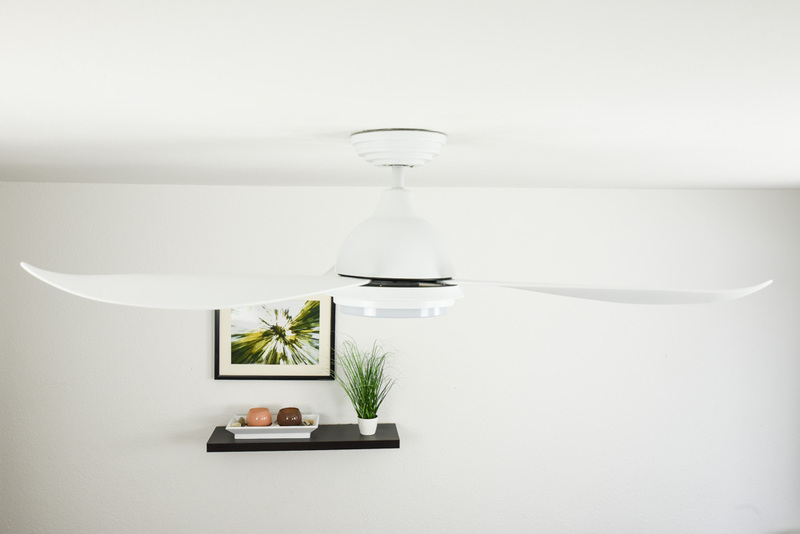 The well thought-out design is reflected from the bottom to the top, the curved blades give the fan a sophisticated look while providing an enormous airflow on all five rotation speeds. 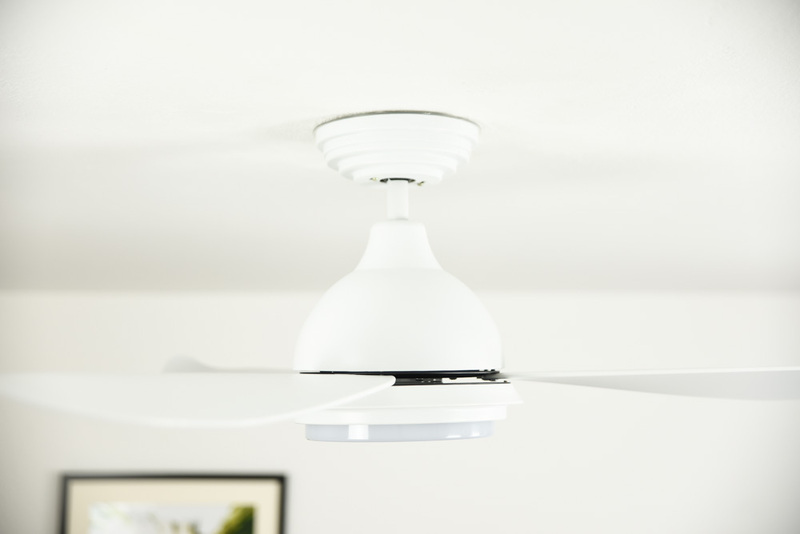 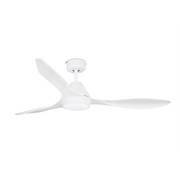 Naturally, the fan is whisper-quiet and operates smoothly. 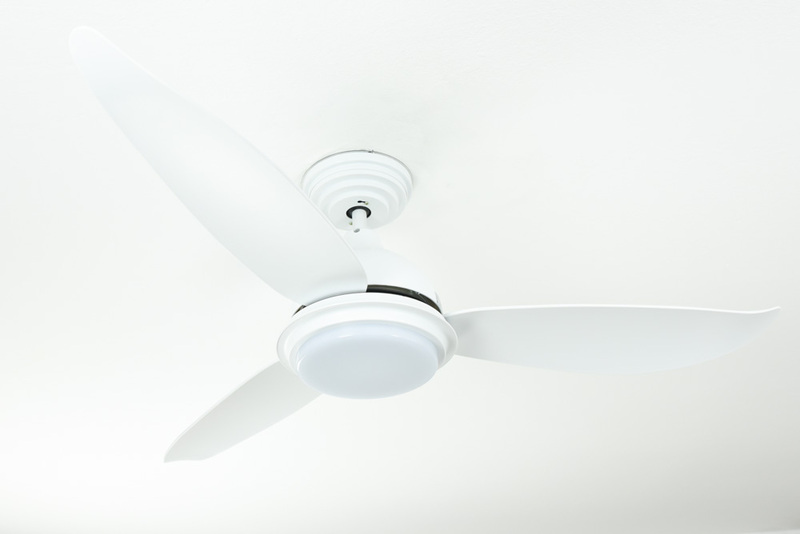 The high-grade DC (direct current) motor is designed to run forward and in reverse: This multifunctional appliance cools as required and can be used as a means of heat recovery in winter. 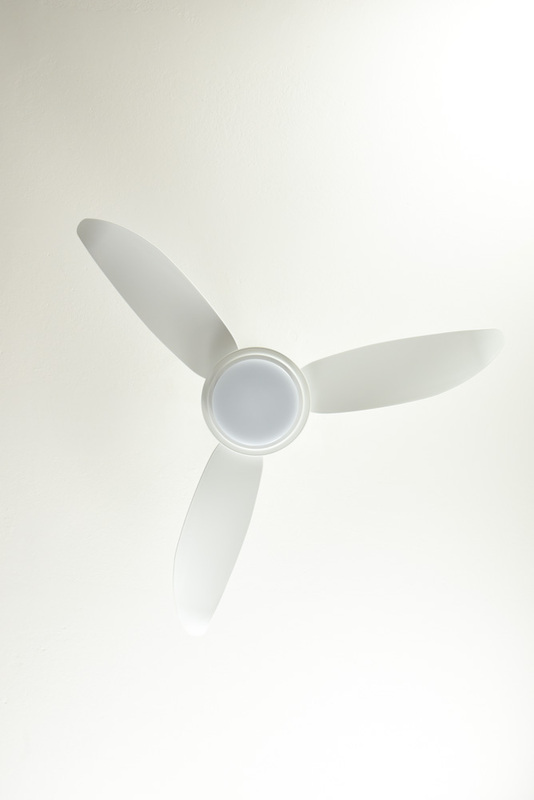 Its 122 cm / 48“ diameter makes the eco fan a perfect match for rooms with a maximum size of 20m². 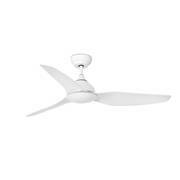 The fashionable clear-cut design consists of a pure white housing made of durable ABS copolymer. 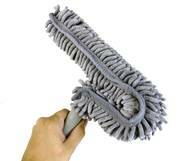 It protects the motor on the inside and is resistant to exterior stress of everyday life and is easy to clean. 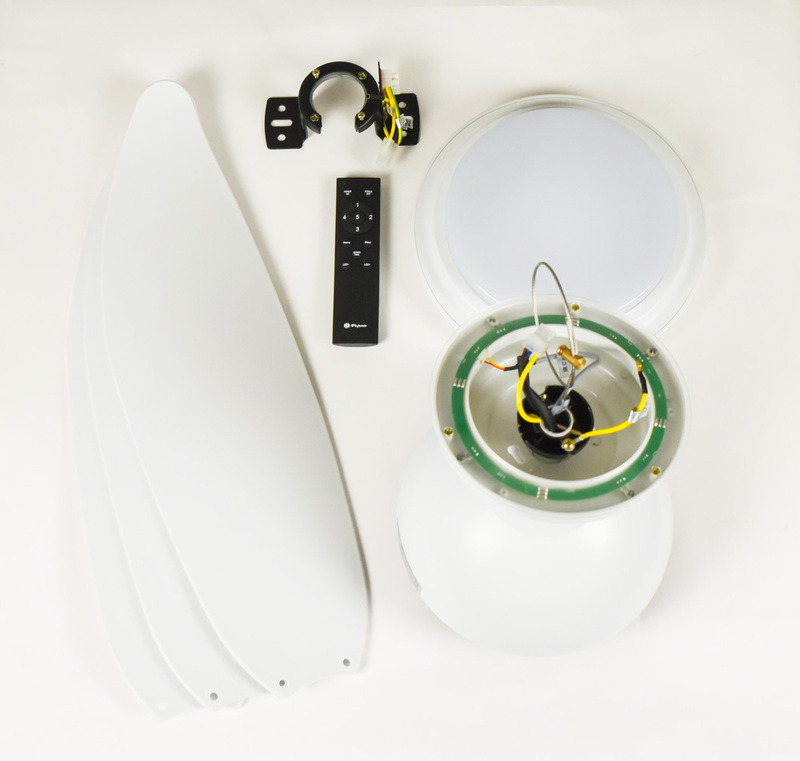 The integrated LED lamp can be activated in three colours (warm white, neutral white, cool white), each of the settings can be dimmed to your liking. 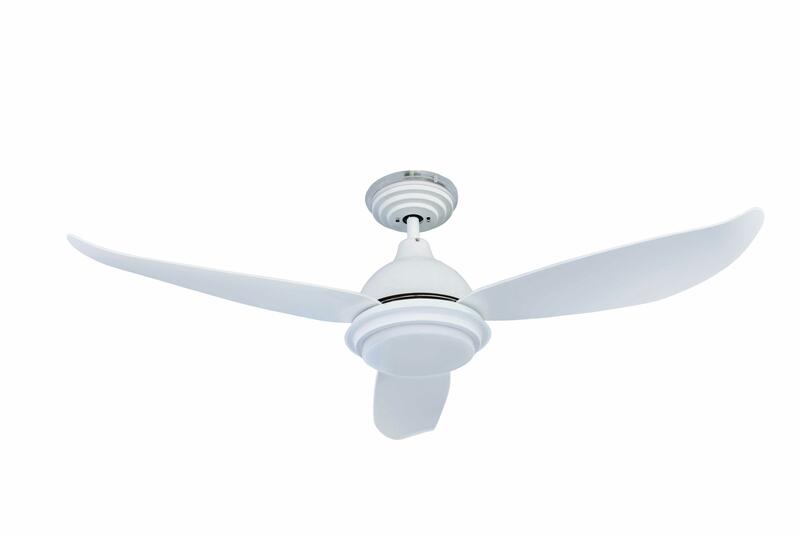 That means the Raja can be used in a variety of areas: in your office and study, at home, in culinary establishments and on business premises. 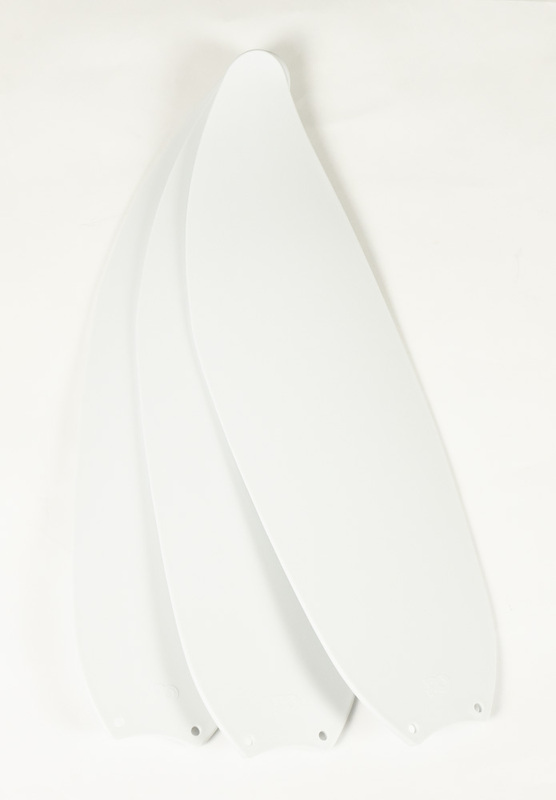 The flat frosted glass lamp shade illuminates the room evenly without any dazzle or glare. 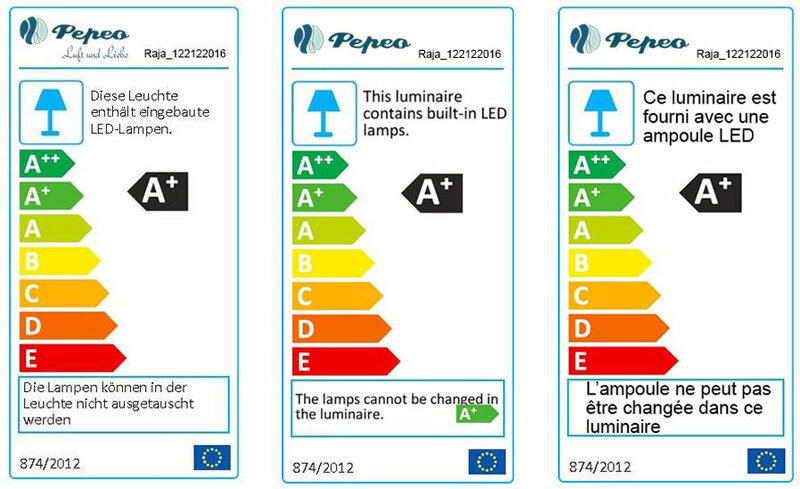 The LED with 22 Watt power consumption (EEG A+) has an average rated life of 10,000 hours. 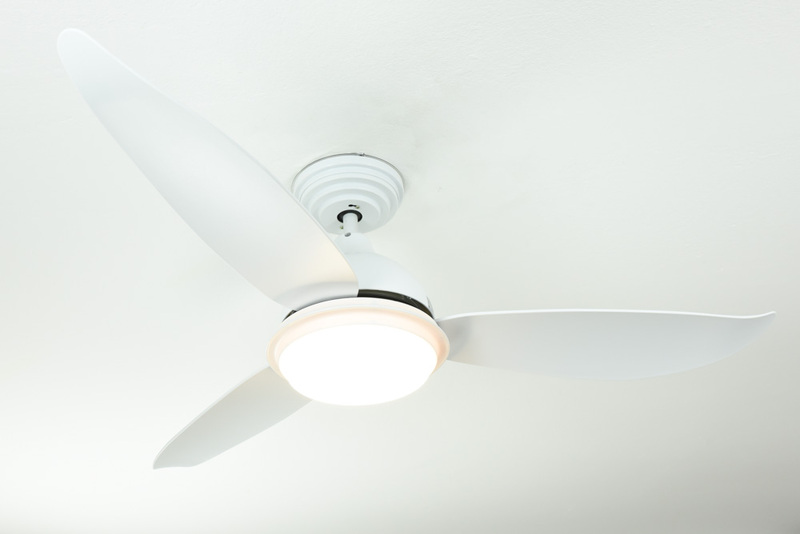 Used for three hours per day, this value equals a life span of nine years. 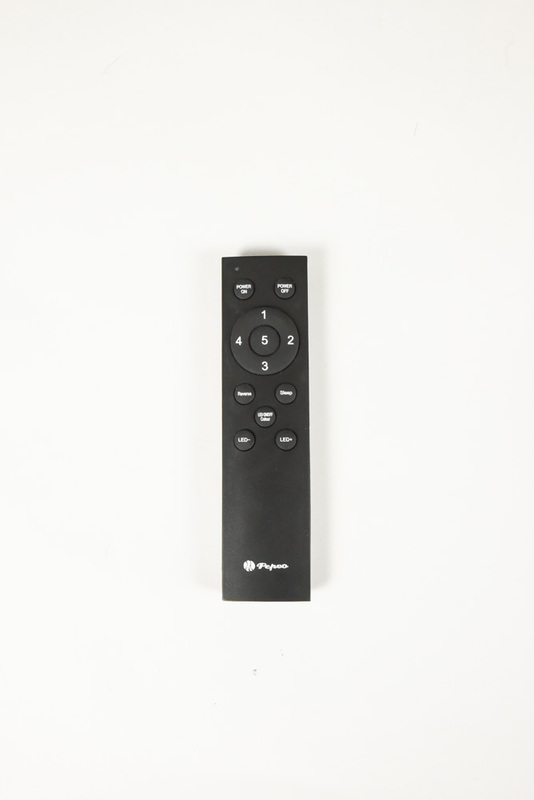 A handy infrared remote control allows you to control all settings. Diameter: 122 cm / 48"
Energy-saving ceiling fan Bayu with LED light 122cm / 48"